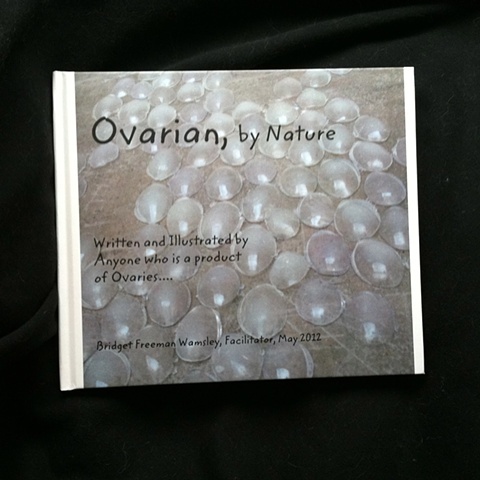 Launched in May 2012, this social practice work of art requests that participants write or draw stories about ovaries. These once-blank books are continuously filling up with precious memories, stories, jokes, and drawings. This ongoing work was featured at Chicago's Woman Made Gallery in Sept. 2015 and Woodstock, Illinois Women's Works Art Show in Feb. 2013, and continues to this day.